Stop by and put your order in anytime! Or you can place your order online right on the Menu Page or the link at the top. 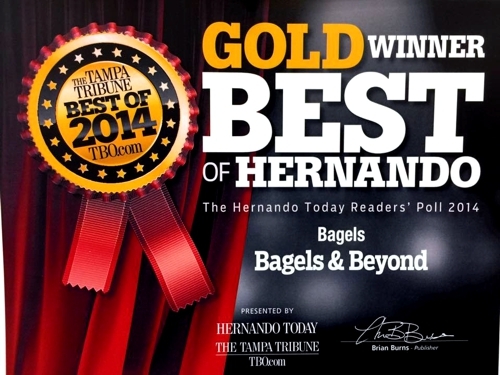 We make the freshest bagels and specialty sandwiches in Hernando County. 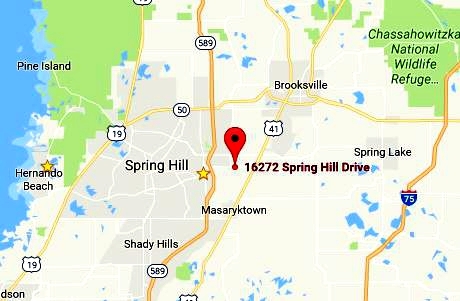 We opened on August 16, 2009 in Brooksville on Spring Hill Drive near the Airport Business District. Since day one we have filled this area’s need for a top quality bagel shop with fresh cooked bagels and fine deli sandwiches and specialty items not found anywhere else. Our goal is to be the best at what we do at an affordable price for you! We serve only the finest bagels and we also use Boar’s Head deli products on all of our sandwiches so you know you are getting top quality. Come by today and taste the difference for yourself!